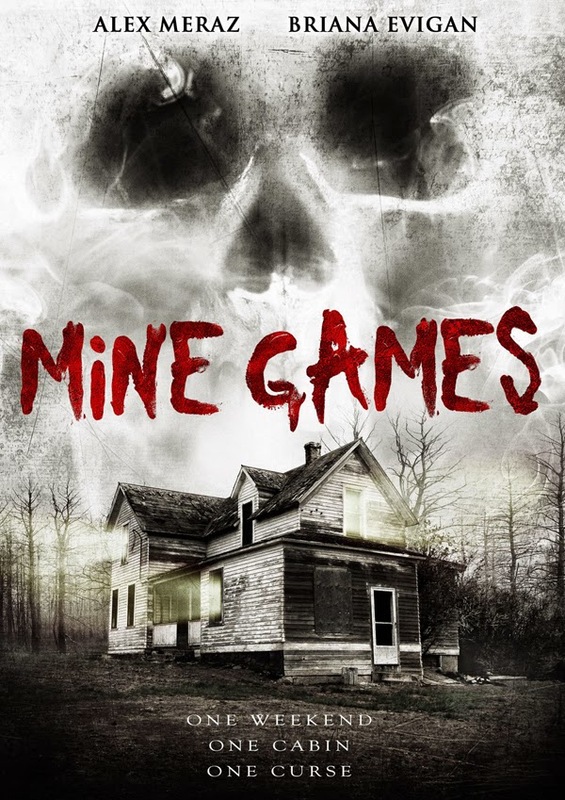 2012's MINE GAMES...what a turn around this film was for me. Sadly, one can't say much about this film without giving things away, so my short review will be even shorter. This was set up to be a bore, tell you the truth. Another "cabin in the woods" (the cliché, not the AWESOME film, mind you) post-college grads getting killed film that we all know and sleepwalk through. I tossed it on in the background while dealing with some yawner work tasks I had to do today. Then, suddenly, something dawns on me. These folks are not your B-teamer gang. There's some talent here. I had to pay a little more attention while the story unfolded out of the corner of my eye. Some of the items here were actually interesting, causing a little more thought and effort. I was resigned to expecting more out of the film. And, lo and behold, it was warranted. We have people who were involved in INSIDIOUS, SAW, the Director and writer of 2015s AUDITION (fingers crossed that they don't mess that up...). The story is pretty darn tight, interesting and had a few "Wait....whaaaaaaaaat?!" moments in there that I really enjoyed. That's all I'm going to say for fear of messing something up.